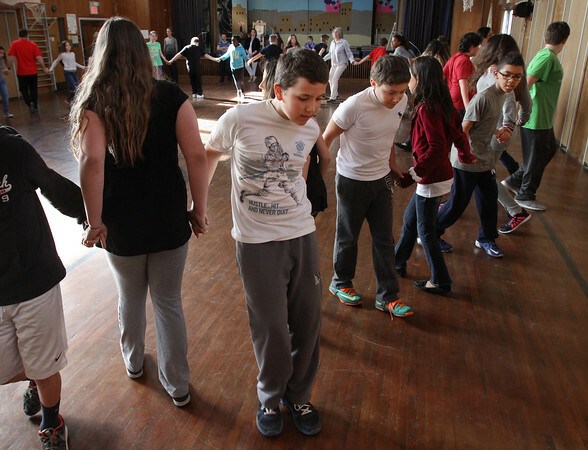 Zach Oliver, center foreground, and other fifth graders dance a polka mixer during a ballroom dancing class Thursday at Beeman Memorial Elementary School in Gloucester. From left are Lily Roit, Oliver, Ellie Sutera, P.J. Zapata, Kira Berlin, Jason Padgett, Hannah Fletcher and True Sayess.